Our firm is recognized as the leading organization to offer a quality assured range of Rosemary Extracts. Action / Uses: Anti-depressant, Anti Oxidant, Carminative, Anti Microbial, Emmenagogue, Skin ailments, Wounds, and Memory Enhancer. To treat peptic Ulcers, Cataract, & bronchital Asthma. We are a leader in offering a best quality of Rosemary Extract to our clients. This is well known for its strong antioxidative properties. It has been used traditionally in food for its pleasant flavor and aroma.These are caused mainly by phenolic diterpenes, carnosol and carnosic acid. 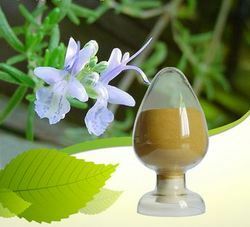 We are the best manufacturer, exporter and supplier of the qualitative grade of Rosemary Extract. The provided extract is well-prepared by our adroit professionals using the best grade ingredients at our well-equipped manufacturing unit. 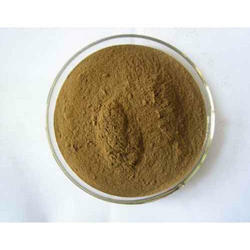 Offered extract is available in various packaging options as per the needs of our clients. Being one of the leading integrated manufacturers of food antioxidants, Camlin Fine Sciences (CFS) can assure you a stable product, its steady supply and complete traceability. We have extensive knowledge of the specific applications in the food industry to help you with the challenges you face.